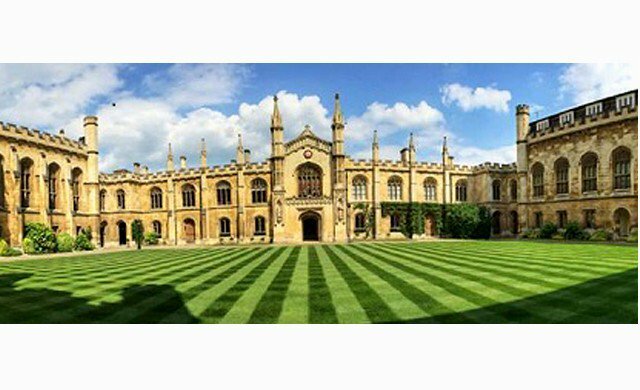 University of Cambridge is offering postdoctoral associate position in mathematics. Successful candidate will have funding to work and study for two years in UK. Applications are invited up to November 21, 2018. Cambridge Judge Business School leverages the power of academia for real world impact to transform individuals, organisations and society. Since 1990, Cambridge Judge has forged a reputation as a centre of rigorous thinking and high-impact transformative education, situated within one of the world’s most prestigious research universities, and in the heart of the Cambridge Cluster, the most successful technology entrepreneurship cluster in Europe. We are looking to recruit a Research Assistant based in Central Cambridge to work at the Centre for Risk Studies, a multidisciplinary research centre of excellence for the study of the management of economic and societal risks. The Centre’s focus is in the analysis, assessment, and mitigation of global risk for the advancement of political, business and individual decision makers. The purpose of this role is to provide support for several research projects analysing catastrophic risk from a corporate and insurance perspective. The Research Assistant will aid in data analysis including data gathering and modelling, additionally compiling data into data-sets useful for decision making. You should be educated to first degree or masters level with a data science, engineering or mathematics background. Previous research experience will include data analysis, data modelling, and data visualisation. You should have a good understanding of the way the global economy is made up of the economic outputs of interconnected organisations in a variety of industry sectors. Strong quantitative, problem solving and advanced Excel skills are essential. Strong report writing skills with the ability to accurately interpret and report results from data analysis, good time management and planning skills with a commitment to delivery are a pre-requisite of this role. This is a fixed term appointment for one year in the first instance.